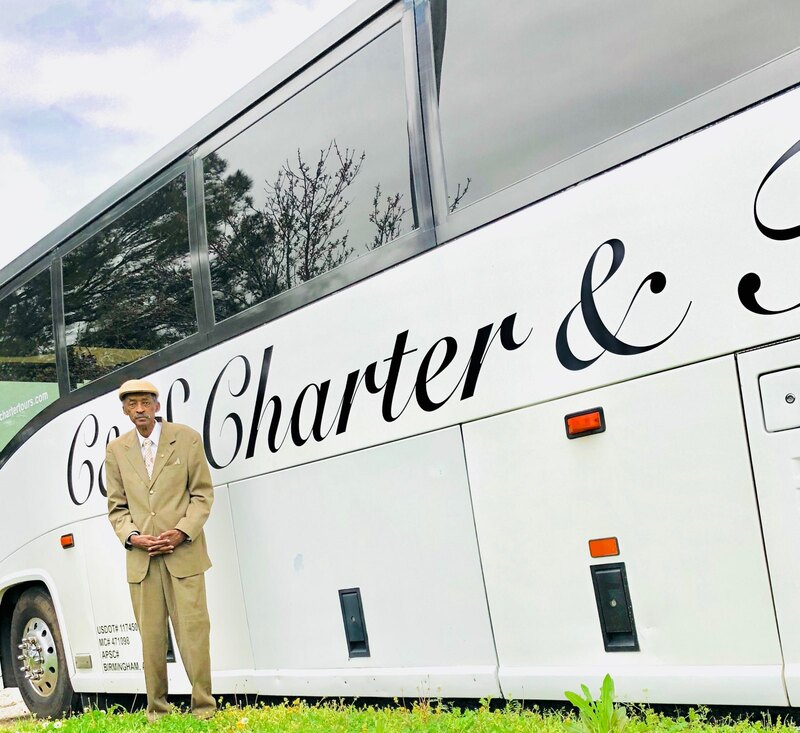 Donald Crawford (shown here) in front of a bus owned by his late father, one of the first known black bus owner in Alabama. (Provided Photo). 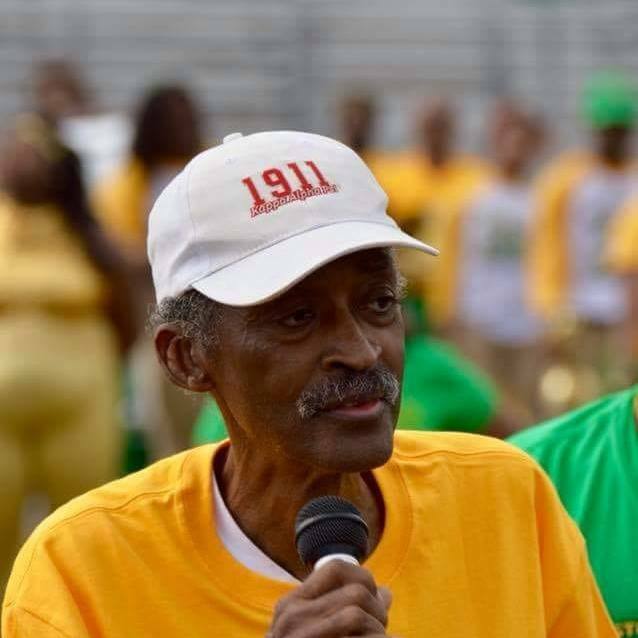 Donald Mitchell “D.C.” Crawford Sr., renowned musician, author, educator and longtime band director at P.D. Jackson Olin High School, died on Sunday, June 10. He was 70. Former students, family and friends remembered Mr. Crawford as being an exceptional teacher and a mentor. Mr. Crawford also mentored Birmingham actor Brandon McCall, who was just cast in a theatre rendition of “The Lion King” and will go on tour with the production, Williams said. Williams said she first met Mr. Crawford her freshman year in 1977. He was band director from 1977-2011. Donald Mitchell Crawford, affectionately known as “D.C”, was the fifth child born on May 24, 1948, to Worcy and Christine Crawford. He was raised in the Ensley community, attended Council Elementary and was a 1966 graduate of Western-Olin High School, which was later named P.D. Jackson-Olin. While at Western-Olin, Mr. Crawford was an outstanding drum major and also played first chair alto saxophone under the tutelage of the late Amos F. Gordon, Sr. He was awarded a music scholarship to Alabama State University where he earned his Bachelors and Master’s Degrees in Music Education and was later inducted in the “School of Music Hall of Fame” at ASU. He was a veteran of the U.S. Army and performed with the 291st and 283rd Army Band in Fort Bennett, Georgia. Mr. Crawford returned to Birmingham and was immediately hired as music teacher for Birmingham City Schools. He was assigned to P.D. Jackson-Olin (formerly Western-Olin) High School, his alma mater in 1976, as assistant band director to his mentor, Amos F. Gordon and took over the helm in 1977 after Gordon’s retirement. In the 60-year history of Jackson-Olin High School, there had been seven principals, eight football coaches and countless of other coaches and teachers, but only two band directors, Amos F. Gordon 1952 – 1977 and Donald M. Crawford, Sr. 1977 to 2011. Mr. Crawford had the distinct honor of serving as band director at the former and current facilities, which opened in 2007. Upon Mr. Crawford’s retirement, the recommendation was made to name the school’s auditorium in his honor. Through his humility and desire to honor his predecessor, Crawford asked instead to name the auditorium the “Amos F. Gordon-Donald M. Crawford” Auditorium. And, on May 25, 2012, a ceremony was held to dedicate the Gordon-Crawford Auditorium in their honor. He also served as band director for Miles College. Mr. Crawford had recently published a book is entitled “The Wheels of the Birmingham Civil Rights Movement.” This book chronicles the life of his father, Worcy Crawford, who was the first known black bus owner in Alabama, and the role he and his company played in the Birmingham Civil Rights Movement. His parents Worcy and Christine Crawford, brothers, Theopolis Crawford, Worcy Crawford, Jr., Alphonso Crawford and Lawrence Crawford preceded him in death. He leaves to honor his memory and continue his legacy a loving wife of 41 years, Mattie Wilkins Crawford; sons, Donald, Jr. and Christopher of Birmingham; one daughter, Dr. Tamera (Bryan Keith, Sr.) Preer of Huntsville, two grandchildren Berkley and Bryan Keith Jr., three sister in laws, Dee W. Richardson, Dovie (John) Bell and Teresa (Johnny) Williams; three brother in laws, John (Margie) Wilkins, Jerome (Rhonda) Wilkins and Edward (Gwendolyn) Wilkins; one Uncle Perry (Wilma) Pride; and a host of cousins, nieces, nephews, an army of former students, other family members and friends. 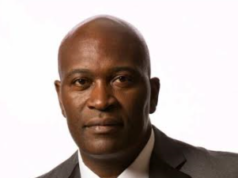 A public viewing will be held on Friday, June 15 from 1 p.m. until 4 p.m. at Arrington Funeral Home, 520 Cotton Avenue SW. Birmingham, AL 35211. A Celebration of Life will be held on Saturday, June 16 at 11 a.m. at Faith Chapel, 100 Mike Moore Boulevard, Birmingham, AL 35224. Interment with Military Honors will be at George Washington Carver Memorial Gardens, 1020 Minor Parkway, Birmingham, AL 35224. Condolences may be sent to Mrs. Mattie Crawford, 4529 Eagle Point Drive, Birmingham, AL 35242. In lieu of flowers, please consider donating to the: Donald “DC” Crawford Memorial Educational Scholarship at an BBVA Compass Bank Branch.